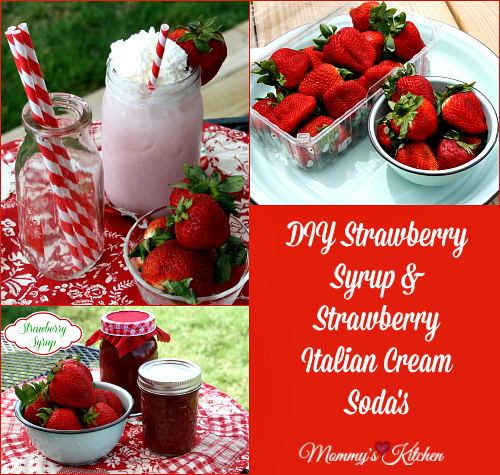 A simple strawberry syrup made with fresh strawberries and sugar perfect for, pancakes, ice cream, and these yummy Italian Cream Sodas. and early June roll around, it's berry picking time in North Texas. Currently our local pick-your own strawberry farm is closed most likely due to all the heavy rains we've received. Our lawns our fully saturated right now, so the ground can't take too much more rain. Mother nature can be a blessing and a beast at times, but the much needed rain is certainly welcomed. If you can't pick your own strawberries the next best thing is farmers markets, road side stands, or supermarket strawberries. Strawberry season is usually in full swing around mid - late spring at my local Walmart. Once I start seeing those red beauties pop up I usually can't contain myself, because everyone in my house is crazy about strawberries. 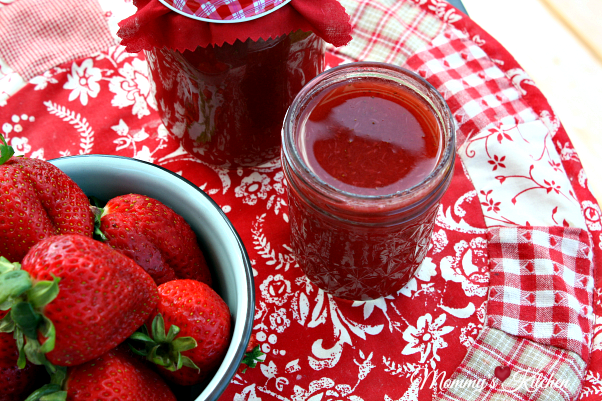 Today I want to share a few tips to keep in mind when purchasing supermarket strawberries. When selecting strawberries, choose smaller, bright-red berries with a sweet aroma (giving the berries a good sniff is important). Turn the container over and inspect the bottom. Make sure the bottom of the containers are not stained (stained containers are a sign of over ripe, soft, mushy berries). Never purchase containers that have moldy berries inside. Always use fresh berries as soon as possible because strawberries are very perishable, and do not ripen any further after picking. When strawberries are in season, I tend to pick up a package or two just about anytime I'm in the grocery store. Last week was no different during a quick stop into Walmart for a few grilling essentials, I spotted a display of fresh strawberries priced at $1.50 for 16 oz packages and $2.98 for a 32 oz size. I've been wanting to try my hand at making Homemade Strawberry Syrup, so the timing was perfect. My family doesn't care for store bought syrups, so I thought homemade would be a better option. I used a easy recipe consisting of the basics, strawberries, water and sugar. The strawberry syrup turned out awesome! 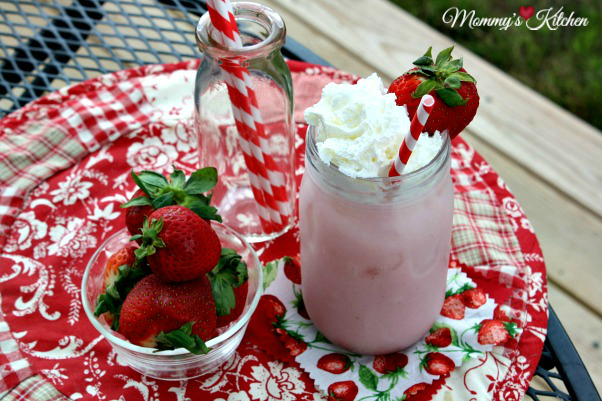 The next day I used the homemade syrup to make these tasty Strawberry Italian Cream Sodas to enjoy during our cookout. Everyone loved them and they're super simple to make. Italian Cream Sodas are a huge crowd-pleaser, making them perfect for parties and celebrations. 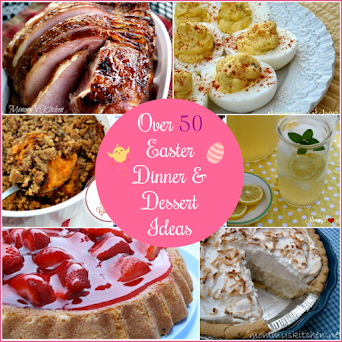 These would be a great addition to your Memorial Day celebration. 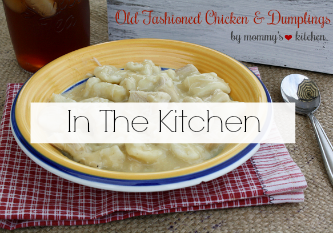 Today I have two recipes to share with you. One for a homemade strawberry syrup, and the second for Italian cream sodas. 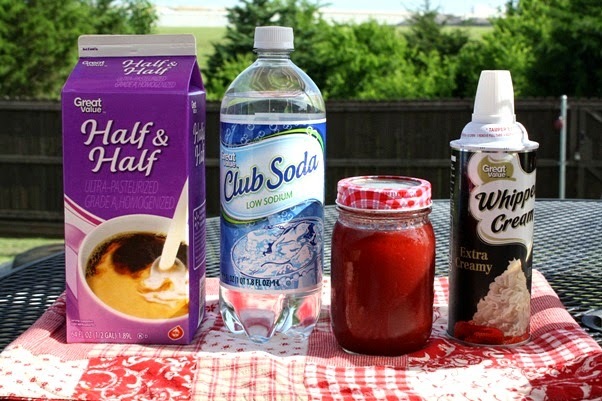 The ingredients you will need for the Italian cream soda's are: Half & Half, club soda, strawberry syrup, whipped cream, and strawberries for garnish. 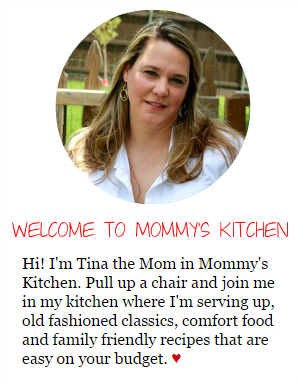 Both of the complete recipes are listed below. Wash, hull, and quarter the strawberries. Place the strawberries into a medium size saucepan. Cover the strawberries with 1 1/4 cups water and bring to a boil. Reduce heat to medium-low and simmer for 20 minutes (skimming off any foam). After about 20 minutes the strawberries will have lost their color and the water will be pink in color. Remove the pan from heat, strain the strawberries through a fine mesh strainer, and add the syrup to another clean pot. Do not push down on the strawberries to remove more juice. Set the strawberries aside. Add 1 cup of sugar to the strawberry liquid. Bring the mixture back to a boil while stirring the sugar so it dissolves. Reduce heat to medium-low and let the mixture simmer for 10 minutes (skim any additional foam). Using an immersion blender or food processor blend the strawberries until fine and add back to the pot containing the syrup. If you don't like seeds just toss the berries out. Let the syrup simmer for 5 more minutes. Remove from the heat to allow the syrup to cool completely. 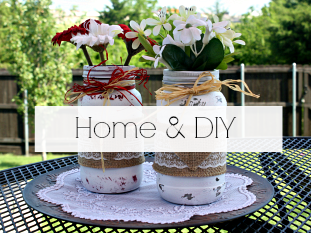 When cool pour into a pint size mason jar and store in the refrigerator for up to 3 - 4 weeks. Cook's Note: if you prefer a thicker syrup you can simmer the mixture longer so it reduces and thickens more. 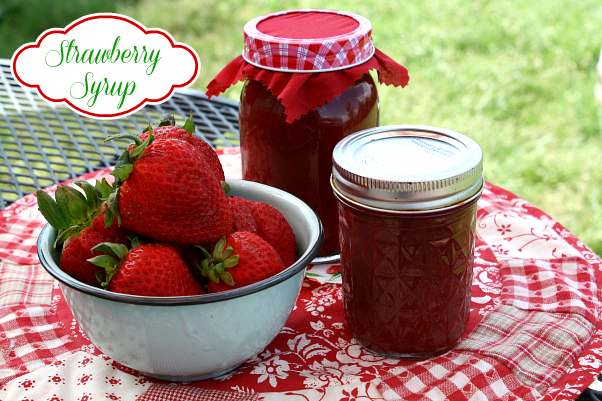 This recipe can also be used to make raspberry syrup using fresh raspberries. 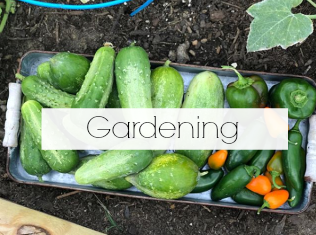 Fill a tall glass or pint size mason jar about 2/3 full with ice. Pour in the strawberry syrup and add the club soda. Slowly add the half & half and stir just before drinking. Top with whipped cream and garnish with a fresh strawberry. 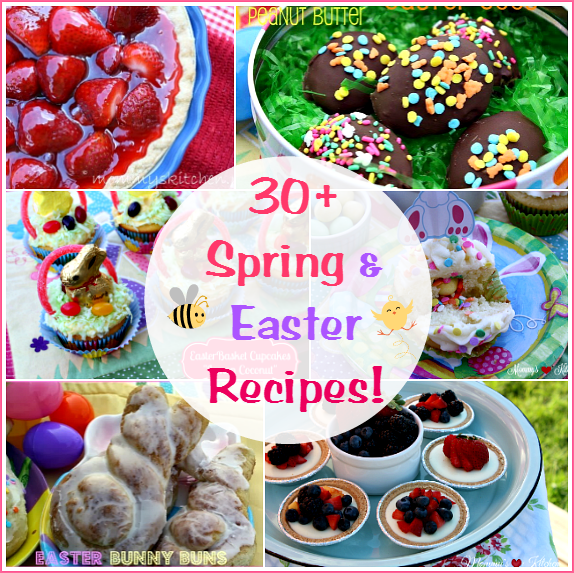 For more great tips and berry recipes check out the Fresh Spring Flavors section on Walmart's Food & Celebration page. You can also check out my my previous Walmart spring berry posts for this Easy No Bake Flag Cake & this beautiful Strawberry Cream Cake. 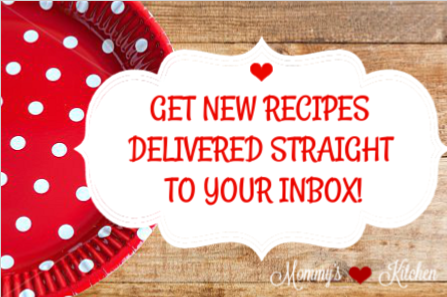 Thank you for the wonderful recipes. That Cream Soda sure does look refreshing. Enjoy your weekend and stay dry. Staying dry here is an under statement as we got another 2 inches yesterday, not counting over the 7 inches we received Sunday and all the other rains we have received this month. So much water standing, it has no where to go. Oh Colleen I hear you. Our grounds are so saturated we just can't take in anymore water. We have had nothing but snow and rain since February. I don't think we have actually had a full dry week since then. We are expected to get 5-6 more inches of rain Saturday-Sunday. Our lakes our overflowing everywhere. Stay dry and have a wonderful holiday weekend.